Strike Force Entertainment are delighted to restore to the back catalogue, on CD for the very first time, two of Vince Hill’s most beloved albums 1967’s “Edelweiss” and 1971’s “Look Around (And You’ll Find Me There)”. Both albums are contained on one CD and the enclosed CD booklet comes with an introduction by Vince Hill himself. 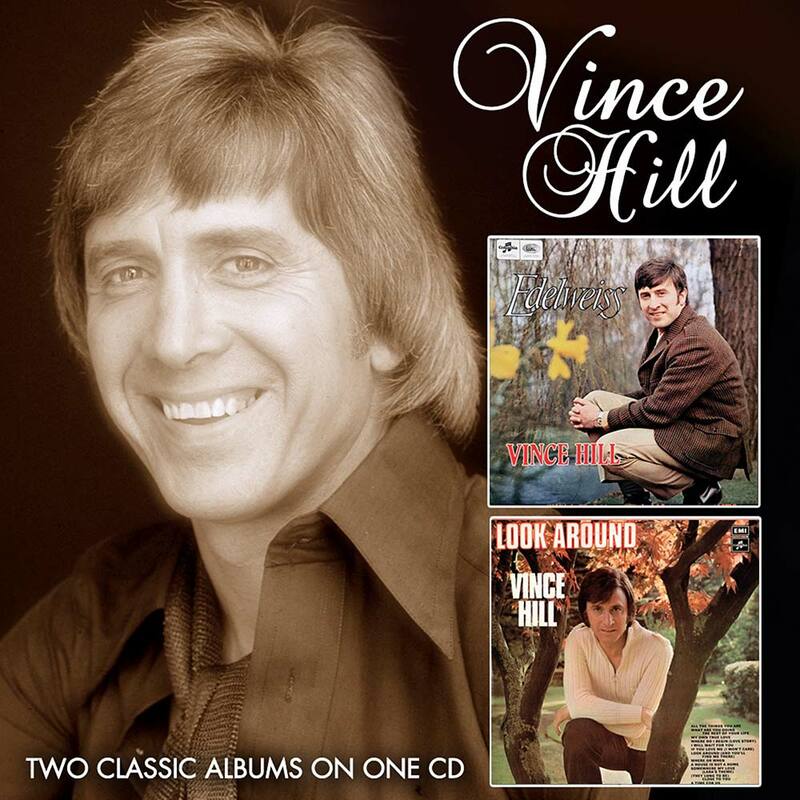 An era defining easy listening singer and stalwart of British TV light entertainment, crooner Vince Hill’s plethora of pleasing 1960’s and 1970’s orchestrated albums have remained in the archive since their initial release. The re-issue of the “Edelweiss” album celebrates the 50th anniversary of the million selling No.1 UK hit single ‘Edelweiss’. 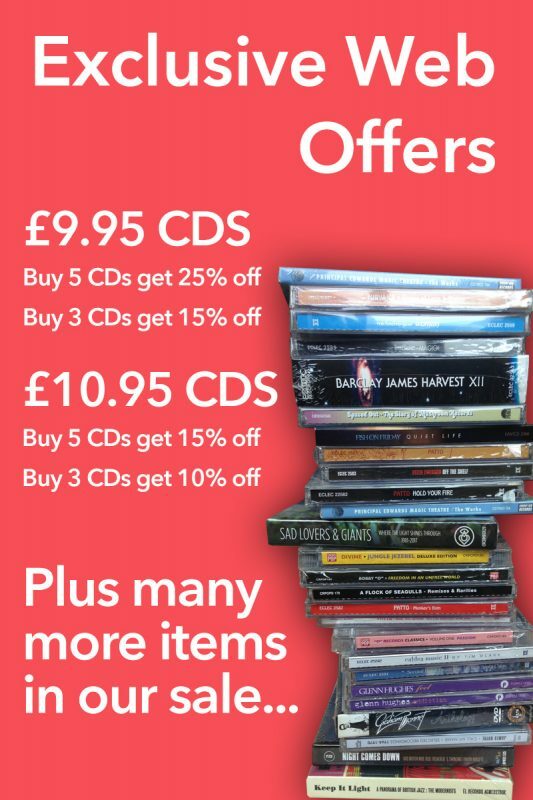 The album contains a wealth of show tunes; as well as ‘Edelweiss’ and ‘The Sound Of Music’ from “The Sound Of Music”, there’s ‘One Hand, One Heart’ and ‘Maria’ from “West Side Story”, ‘I Love You, Samantha’ from “High Society”, ‘Stranger In Paradise’ from “Kismet”, ‘I Have Dreamed’ from “The King And I” and many others. Show tunes and film theme songs also abound on his 1971 album “Look Around (And You’ll Find Me There”. On it, he pays homage to some of the world’s finest songwriters, among them Jerome Kern, Oscar Hammerstein II, Michel Legrand, Francis Lai, Rodgers & Hart and Bacharach & David with compositions as varied as ‘What Are You Doing The Rest Of Your Life?’ from “The Happy Ending”, ‘(Where Do I Begin?) Love Story’ from “Love Story” and an intriguing cover of the songbook standard ‘(They Long To Be) Close To You’” made famous by The Carpenters just the year previously to Vince’s very own version. The bonus track on this compilation of these two Vince Hill albums is a another intriguing cover version, a spirited loungecore take on Leonard Cohen’s ‘Hey, That’s No Way To Say Goodbye’, recorded originally as a stand-alone single in 1970.